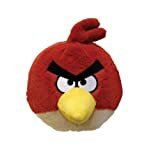 Since the 2009 release of the original Angry Birds on the iPhone, this dangerously addictive game has taken the world by storm. Personally, my obsession with this game is ridiculous. I recently took a train across China, and I was so engrossed in Angry Birds Rio that i barely looked out of the window once. 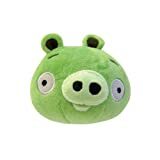 With Christmas on the way the hottest toys are sure to be the Angry Birds Plush Toys for sale at stores around the world. 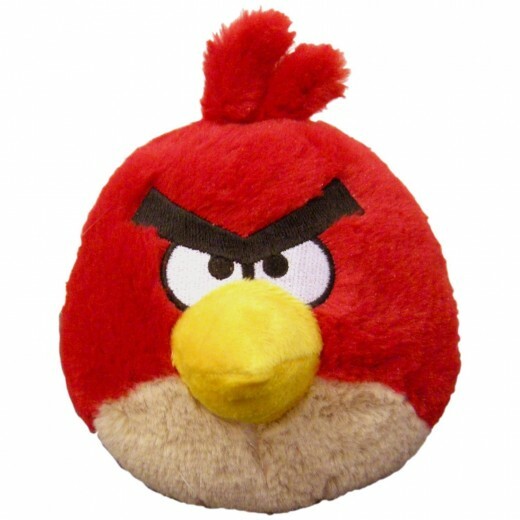 In advance of the holidays we’ve put together a little buying guide of the best Angry Birds plush toys. 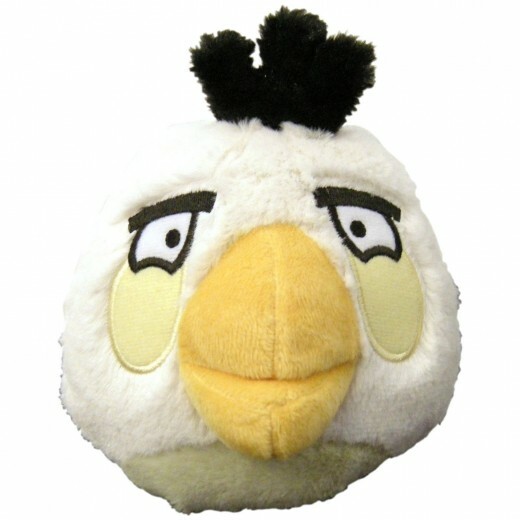 This 5″ plush toy reproduces authentic sounds from the Angry Birds game. 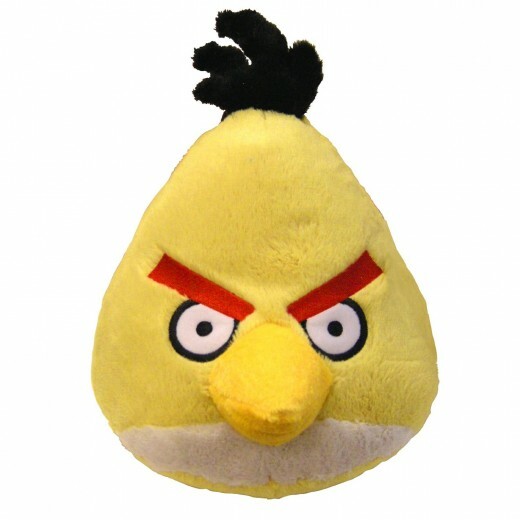 Just squeeze the top of the head and one of three sounds will play, including the sound made by the red bird in the game. We bought one of these red plush toys last month to throw around the lounge, but the second we opened the box our hyperactive mongrel Pepper went absolutely craaaaazy. As the toys are only $6.75 we decided to get a couple of spares. Pepper can tear up his own toy while we keep the others nice and clean. 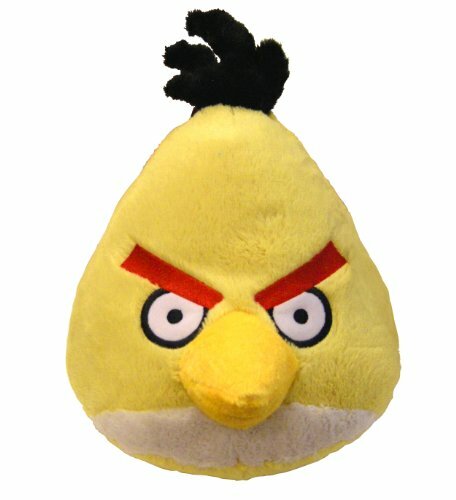 Like the red plush toy, this rocketing bad boy makes a range of sounds from the games when you squeeze the top of the head. I’d really love it if this toy had some kind of motor that could kick in and shoot forward in mid-air, but I guess for the bargain price of $7.45 you can’t get everything. In any case it’s darned cute, and this one is a big favorite of my son Adam. 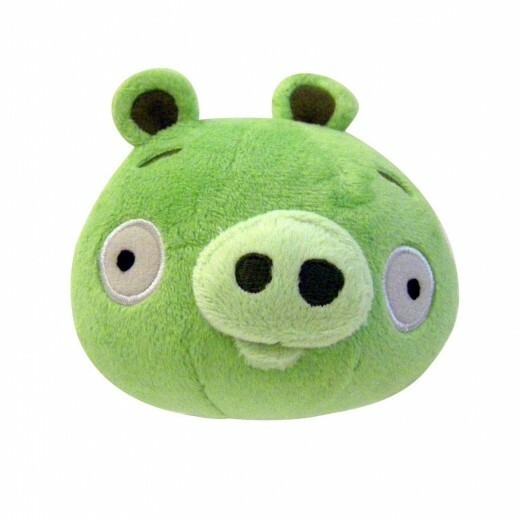 This little piggy may look harmless, but stick a helmet on his head and this villainous porky is tough as nails. The toy is pretty cute, though, and Adam and I have great fun hurling our red Angry Bird at this little green son of a gun from across the room. I could never quite get the hang of the timing to release this little guy’s egg bomb, but the plush toy is much easier to handle. This Angry Birds Plush Toy is on sale for just $8.34, making it the perfect price for hurling recklessly around the room. This is another toy adored by little Pepper, so there are three of these throughout our house in various states of torn-up-edness.